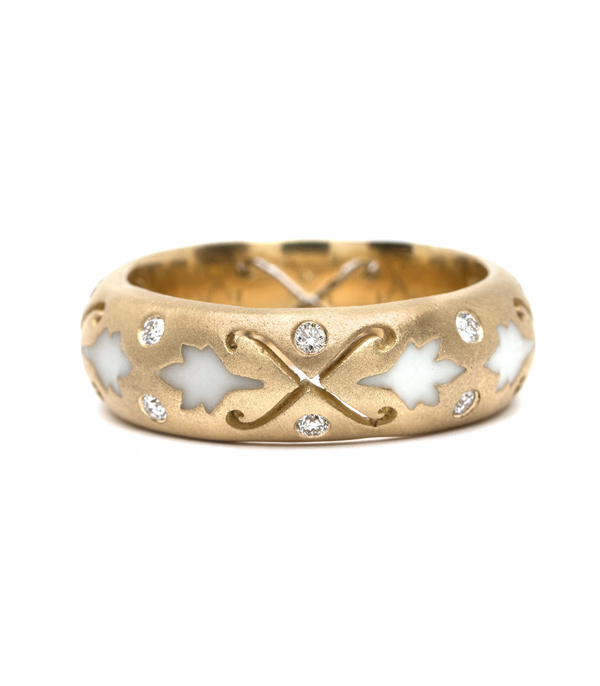 One of our most creative and unique wedding bands, this one-of-kind, substantial 18K matte gold ring is accented with white enamel ivy leaves and white diamonds (0.27 ctw), symbols of pure love. The pierced openwork another reference of lives intertwined. 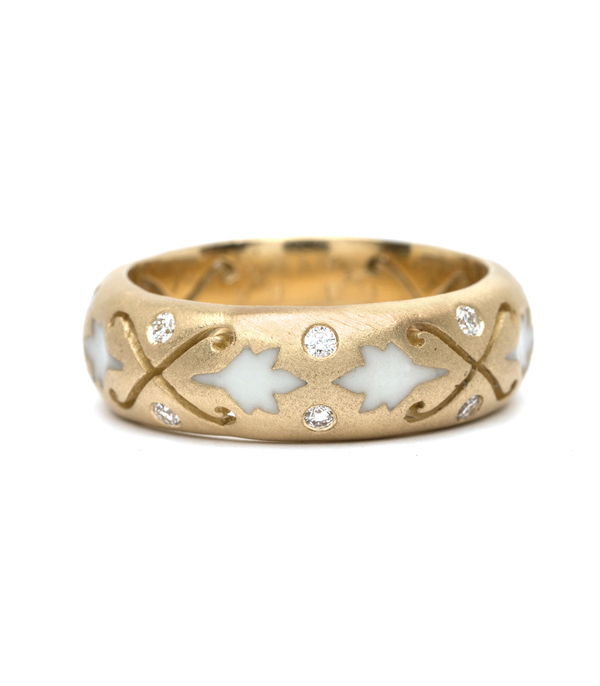 We can’t think of a more romantic and exceptional ring to symbolize an eternal commitment. 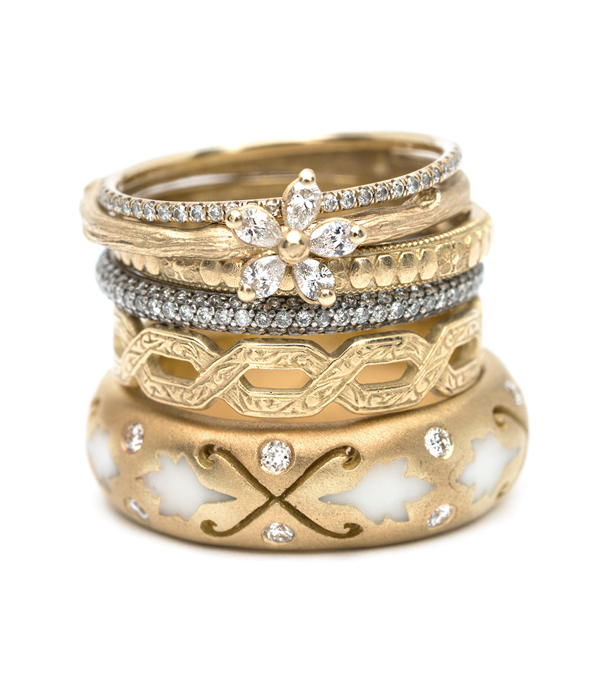 Categories: Language of Flowers, One of a Kind, Rings, Women's Wedding Bands.